Just fill out some of your details below and we'll set you up with an account in no time! Minimum 8 characters long, including at least one upper case character and one non-alphabetic character. Thank you for your interest, one of our team will be in contact with you shortly. Sorry we couldn't store your contact details at this time, please contact support if the problem persists. WiseAlpha Technologies Limited operates this platform so that WiseAlpha Limited may offer participating notes (“Notes”) which reflect the key economic terms of the underlying corporate loan or bond assets or other investments listed from time to time on the Invest section of this platform. Other entities (“WiseAlpha Product Issuers”) may in the future adhere to the Investor Agreement and offer other investments through this site (“WiseAlpha Products”). None of WiseAlpha Technologies Limited, WiseAlpha Limited and any applicable WiseAlpha Product Issuer offers investment advice. This platform is not directed at or intended for publication or distribution to any person (natural or legal) in any jurisdiction where doing so would result in contravention of any applicable laws or regulations. The platform information does not constitute an offer or solicitation in any jurisdictions in which such an offer or solicitation is not authorised or to any person to whom it is unlawful to make such an offer or solicitation. 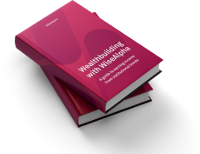 The value of Notes and WiseAlpha Products, and any income from or relating to them, can fall as well as rise so you could receive less than you invest or even nothing at all. Past performance is no guarantee of future performance. Our products are not deposit based or capital protected and your capital risk of loss. They are also illiquid, high risk and are not covered by the Financial Services Compensation Scheme. The interest rate on our products is not comparable to that of a bank savings account. Tax treatment depends on your individual circumstances and may be subject to change. If in any doubt, please seek specialist tax advice. This platform does not constitute investment, legal, tax or other advice nor is it to be relied upon in making an investment decision. Information contained herein has been taken from sources considered by WiseAlpha Technologies Limited, WiseAlpha Limited and any applicable Wise Alpha Product Issuer to be reliable but no warranty is given that such information is accurate or complete and it should not be relied upon as such. WiseAlpha Technologies Limited, wiseAlpha Limited and any applicable Wise Alpha Product Issuer will not be responsible for any loss or damage of any kind which arises, directly or indirectly, and is caused by the use of any part of the information provided. The investment opportunities we offer are only available to qualifying persons or legal entities as defined by your local regulator and on the basis that you are not subject to any jurisdictional restrictions prohibiting access to the information on this platform. By registering or logging into wisealpha.com to view the investment opportunities listed on the platform, you confirm that you are legally entitled to view these investment opportunities and you agree to all applicable terms and conditions on this platform, including without limitation, the Investor Agreement and the Terms and Conditions of the Notes. Any accounts set up in relation to the Notes will be held and managed in the name of WiseAlpha Limited, a company incorporated under the laws of the British Virgin Islands, whose registered address is at Intertrust Corporate Services (BVI) Limited, Nemours Chambers, Road Town, Tortola, British Virgin Islands VG1110. As a BVI incorporated entity WiseAlpha Limited will not hold any money which would constitute client money for the purposes of the FCA’s Client Money Rules. Please click here to read the full Risk Statement. WiseAlpha Technologies Limited (FRN: 751087) is authorised and regulated by the Financial Conduct Authority in the UK. WiseAlpha Technologies Limited is a company registered in England, with its registered office at Level 39, One Canada Square, Canary Wharf, London E14 5AB (Company No. 08967521).